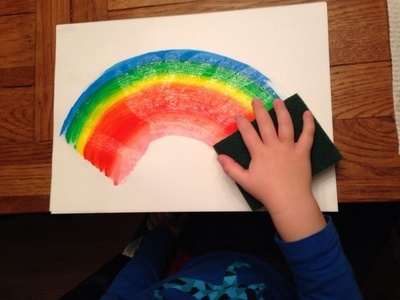 Rainbows are always a popular craft for children due to the bright colours involved. This craft helps your child to learn their colours and also create a craft that they can be proud of. It's an easy craft that they can do on their own with very little parent intervention. A mixture of rainbow paint colours. Optional : Cotton wool balls, glue and glitter paint. 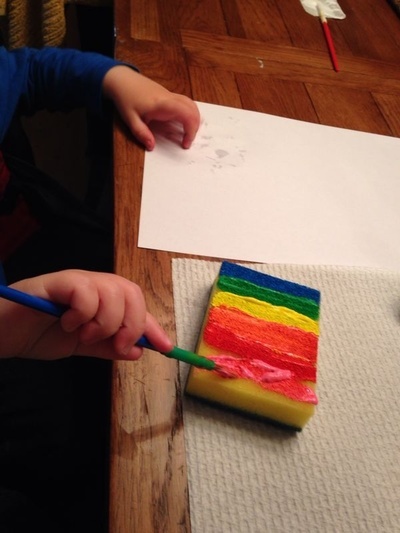 Take a dry rectangular sponge and paint rainbow stripes onto the sponge. 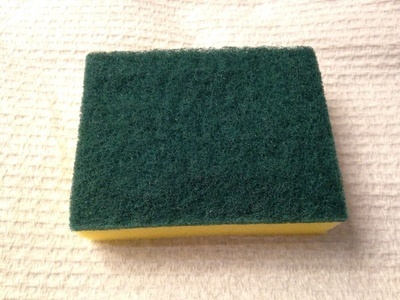 Aim for a good coverage so that you have enough paint on your sponge. 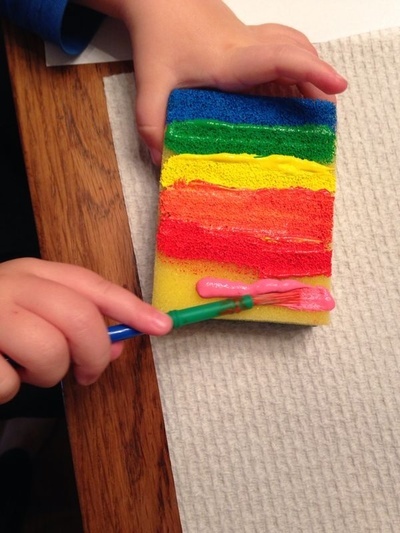 Make your rainbow by pressing and moving the sponge at the same time in an arc shape. Kids don't need to be exact but a semi circle shape will give the best finished look. 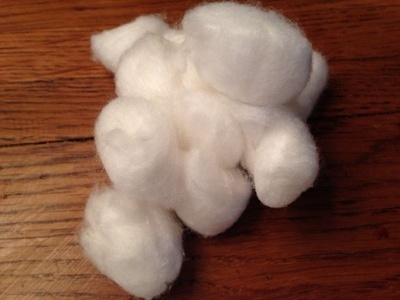 If you've got messy edges, a great way to finish your craft is by adding some clouds with cotton wool balls. 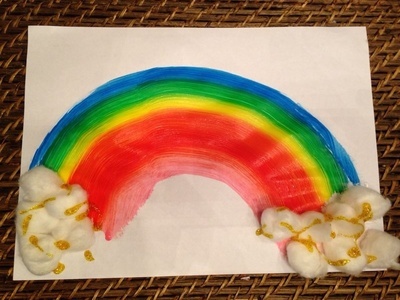 We also added some gold glitter glue to our craft as everyone knows that gold is found at the end of a rainbow. Oh I like this! Very clever.